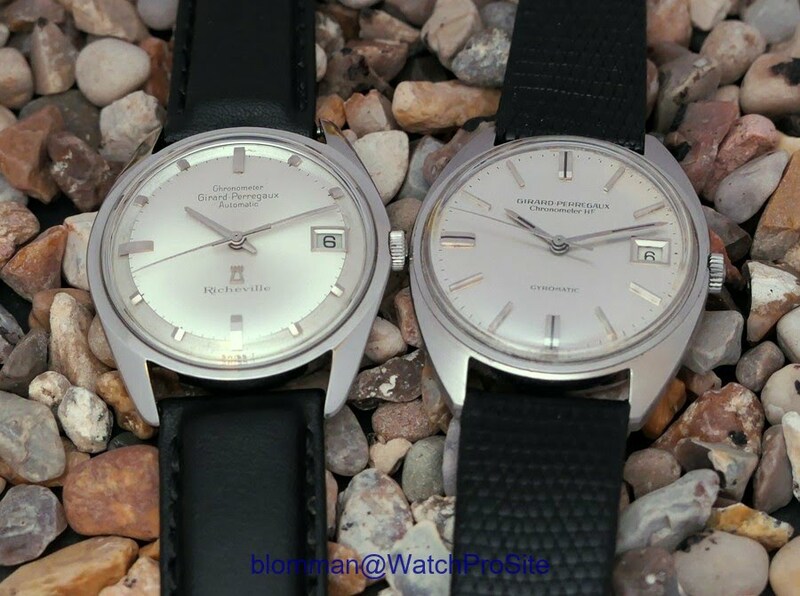 Some delight on a lazy Sunday: a pair of Girard-Perregaux Automatic/Date Chronometer's! To the left, Richeville - to the right, Chronometer HF. But there is one significant difference, Richeville Automatic Calibre 32-19 (21.600 vph) vs. Gyromatic HF. Calibre 32A (36.000 vph). You might say these two marks the steps before and after GP went into High Frequency! and the fact that it is a pre-HF Chronometer makes it quite special. Yes, the Richeville is very different from what we are used to see!